ETL Listed for Indoor Locations. TO CLEAN: Use a clean, soft cloth to wipe your shade. If necessary, use a white cloth dampened with a mild solution of soapy water to gently wash the shade. Rinse thoroughly with a white cloth dipped in clean water. 100% SATISFACTION GUARANTEED: Manufacturer's Limited 1 Year Warranty. 365 Day Returns or Exchanges to Del Mar Fans & Lighting. Alluring like the melody of a favorite song, perfect harmony is achieved by combining finishes and materials. 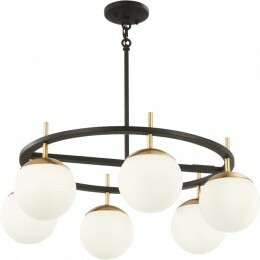 A clean, minimalist style is amplified with Autumn Gold accents suspended from a contrasting Weathered Black framework. 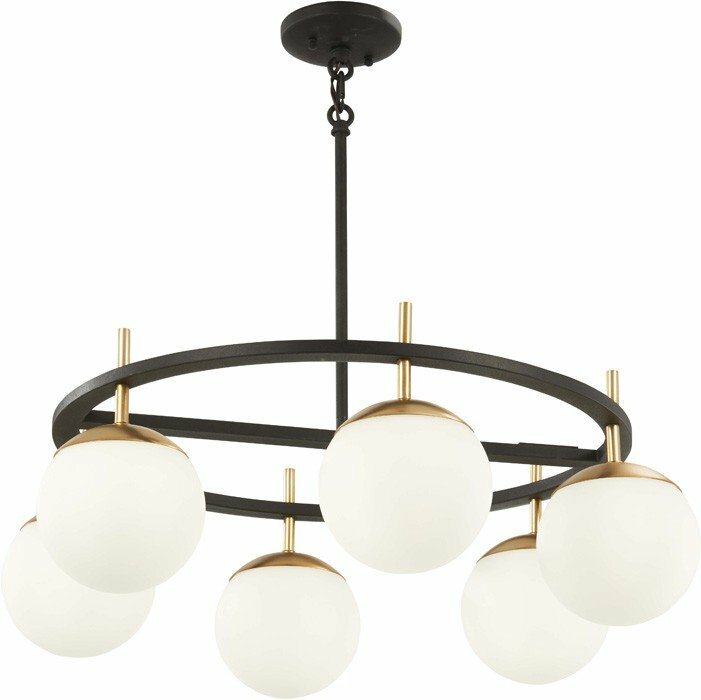 Etched Opal glass globes shine in a dizzying array of styles for every conceivable setting.